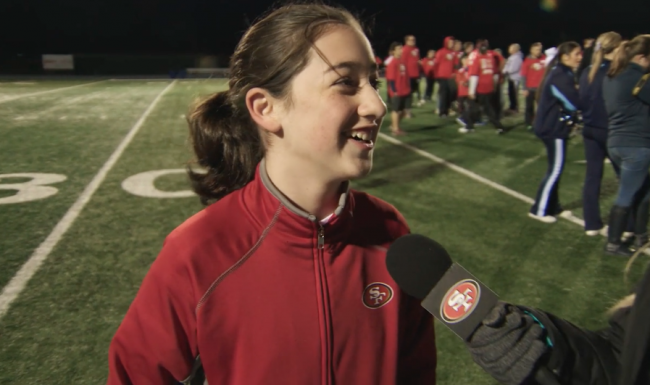 As the Super Bowl 50 Super Kid, Marlo will get to run the game ball out onto the field before the Super Bowl 50 kickoff. We caught up with her to see how she’s enjoying Super Bowl week. View the sights and sounds from when we visited the first ever Super Bowl Opening Night on Monday, February 1 at the SAP Center in San Jose. Super Bowl 50 comes to the Bay and Levi’s Stadium this February. Watch as NFL Network gives us an update on what’s to come for this historic event. The San Francisco 49ers are back in action this weekend against the St. Louis Rams. See how we come to play. Come to Play at the 49ers Museum presented by Sony. Learn how. KTVU recently featured The Art Collection at Levi’s® Stadium that celebrates the 49ers legendary history, the organization’s current success and the vibrant culture of the greater San Francisco Bay Area. Watch: Learn more. 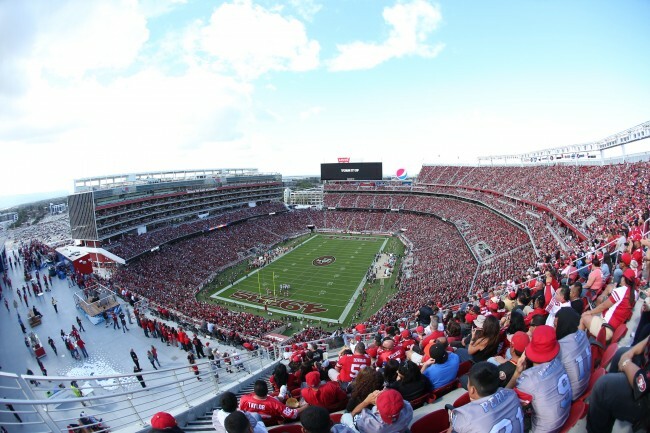 7974 It’s hard to believe that in two short years, Levi’s® Stadium transformed into a 1.85 million square foot facility that welcomed 70,000 fans for the 49ers home opener. Take a look back at all of the major construction milestones from groundbreaking to the first museum artifact installation.